The Colony Motel has been awarded the Seaside Heights Gold Quality Assurance Ribbon again for 2017. 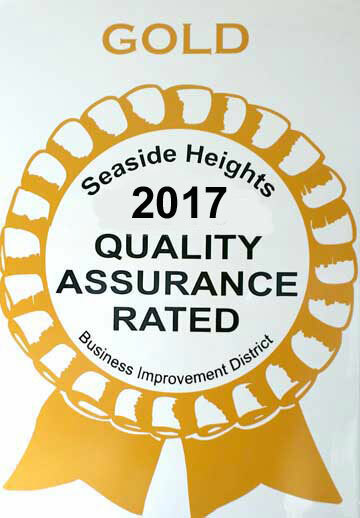 The Seaside Heights business community has developed an independent and professionally conducted new rating system based on specific standards of excellence and consistency for our motels. The "Gold" Rating is the highest rating Seaside Heights applies to their Motels. All properties allowed to display the "Quality Assurance Ribbon" on their website have met the standards of quality assurance based on their services and amenities.